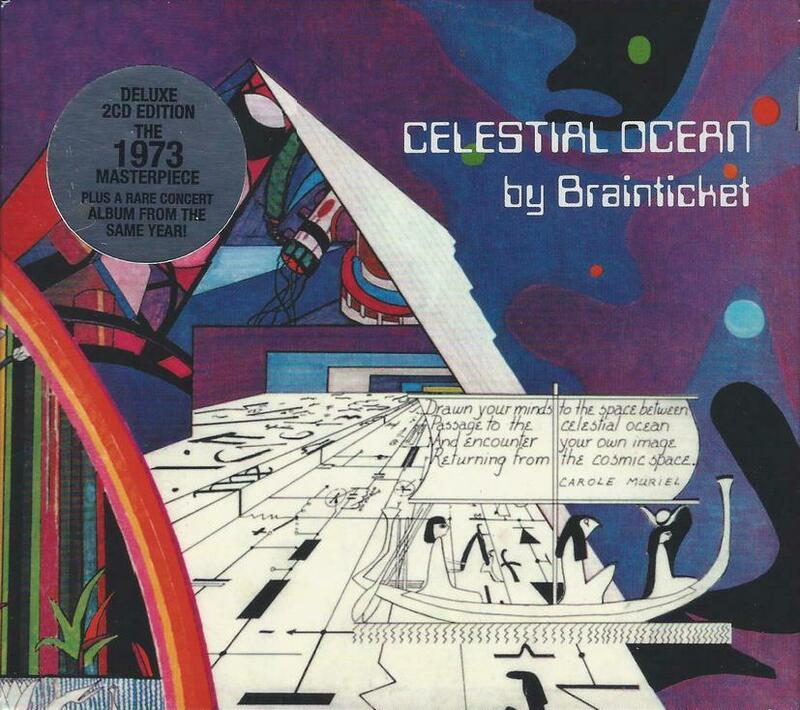 The first three Brainticket albums – Cottonwoodhill (1971), Psychonaut (1972), and Celestial Ocean (1973) – are classics of early 70s experimental Progressive/Psychedelic/Kosmiche music. Headed up by Joel Vandroogenbroeck, a Belgian based in Switzerland, Brainticket have sometimes been lumped in with the Krautrock bands. Though this is incorrect from a nationality standpoint, Brainticket did share in common with the pioneering Germans of the era a distinctive identity, creating music that was simultaneously experimental and accessible… introspective and transcendent. Cleopatra Records first reissued these albums on CD some years ago, and in 2011 released an outstanding box set that included not only the original trio but also the 1971 Drum Circus album that Vandroogenbroeck participated in; Biomechanoid from 1980, which was inspired by the paintings of H.R. Giger and was one of the recordings Vandroogenbroeck made for the Coloursound Library label; tracks from the 1980s Brainticket albums Voyage and Adventure; a live Brainticket concert from 1973; and various tracks from pre-Brainticket bands Vandroogenbroeck was in, some going back as far as 1959. I’ll assume these keep selling, which is fantastic, because Cleopatra has reissued Celestial Ocean again, this time in a 2-CD package with the 1973 live in Rome set as a bonus disc. The live set is a treat, with tracks from Celestial Ocean interspersed with improvisational bits. The sound is decent bootleg quality and very listenable, all the more so given the dearth of known live Brainticket recordings from that era. Based on the Egyptian Book of the Dead, Celestial Ocean is just as much an adventure in sound as it is a set of experimental Prog-Psych. Egyptian Kings utilizes flute, organ and other keyboards, various sounds and effects, plus male and female narration to create a Psychedelically soaring blend of Progressive Rock, avant chamber ensemble and Jazz. This melts seamlessly into the lushly lysergic and tripped out string and sitar parade that is Jardins, which includes more cosmic poetry from American vocalist Carole Muriel. The brief but intense Rainbow and Era of Technology are chaotically spaced out combinations of alien effects and poetry, like a Beat generation take on Hawkind’s Space Ritual. These serve as a lead in to the tribal, poetic, and wildly space electronic To Another Universe, which is like a Teutonic Kosmiche meeting of Sun Ra and Soft Machine. The Space Between is a quirkily grooving and strangely meditative combination of tribalism and floating space electronica, with narration in English and French. The aptly titled Cosmic Wind comes across like a Psychedelic New Age mantra, with flowing strings and pied piper flutes amidst an aura of deep space atmospherics. And Visions is like a celestial piano concerto and reprise of earlier themes that brings the set to a close. ESSENTIAL listening for fans of the early 70s Prog/Kosmiche pioneers!